Bye-bye, guard! Continue the epic journey as it unfolds in Star Wars: The Last Jedi! The larger than life characters from Episode 8 of the Star Wars saga have been reimagined as Pop! Vinyl Figures with bobbling heads. 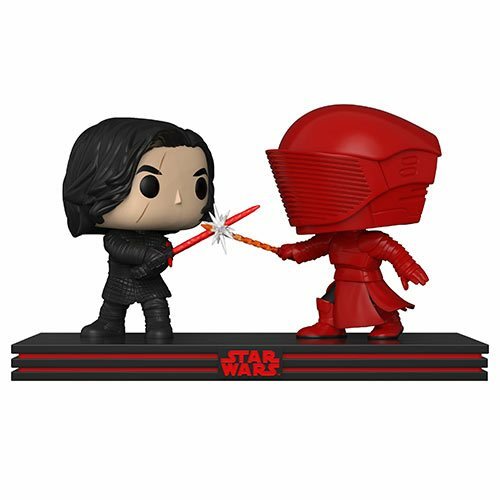 Each measuring approximately 3 3/4-inches tall, this Star Wars: The Last Jedi Kylo Ren and Praetorian Guard Pop! Vinyl Figure Movie Moments stands on a Star Wars base and comes packaged in a window display box.